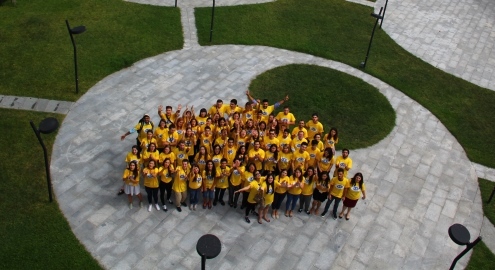 Sixty-two FLEX alumni from Armenia, Azerbaijan, Georgia, Moldova, and Ukraine attended the 2016 Eastern-Europe FLEX-Ability Workshop in Kvareli, Georgia at the Ministry of Justice Training Center on August 31 – September 4. 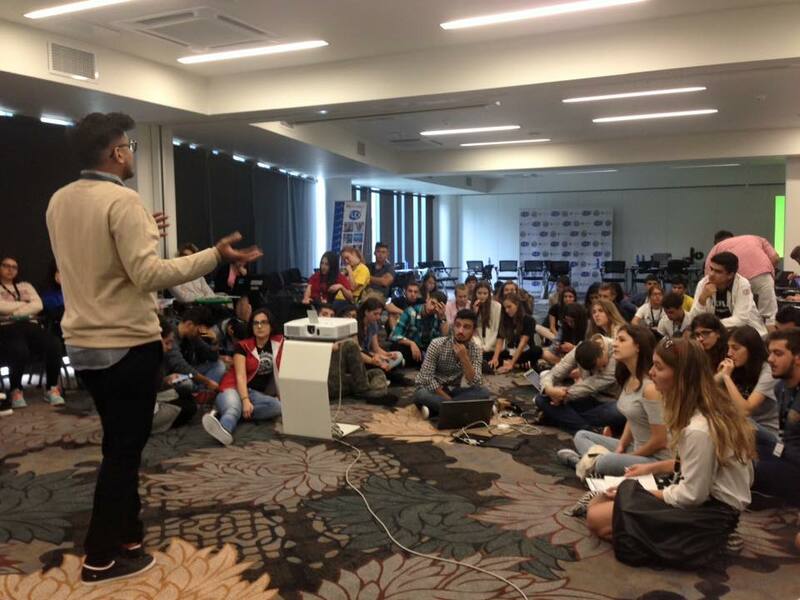 The workshop taught alumni how to take a community need or a personal passion and transform it into a social enterprise using entrepreneurial skills, technology, and STE(A)M techniques. STE(A)M is science, technology, engineering, and math with the addition of arts. In preparation for the workshop, all alumni participants took part in two online training sessions to learn the steps in creating a community assessment plan and to research successful organizations with a legacy of a positive social impact in their communities. The sessions prepared the participants for the in-person workshop, encouraging alumni to discover successful, local ventures to use as best practice examples at the workshop and potential partners for post-workshop activities. At the start of the workshop, trainer Abdullah Syed ’07 (YES Program Pakistan) from Level Up Village, an organization that aims to develop the global classroom through STE(A)M education, introduced participants to STE(A)M and offered examples of how it is used in the modern classroom and can be incorporated into social enterprises. Alumni broke into groups focusing on key social issues, including health, education, sustainability, and media & communication. Working amongst themselves, the participants worked on furthering potential project ideas, developing websites and branding materials as a test run for their personal projects. 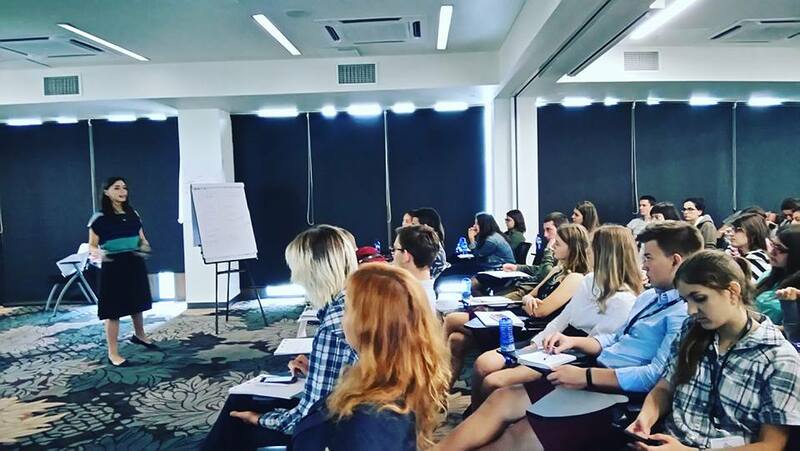 With project ideas in mind, the alumni attended business development sessions with Daan Harmsen, CEO at Dasta Records Management in Georgia. 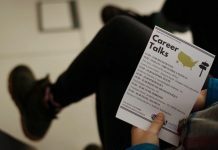 Alumni learned how to develop a business model, hold effective market research, and develop a marketing and sales approach; skills that they can utilize as they move forward with their personal projects. 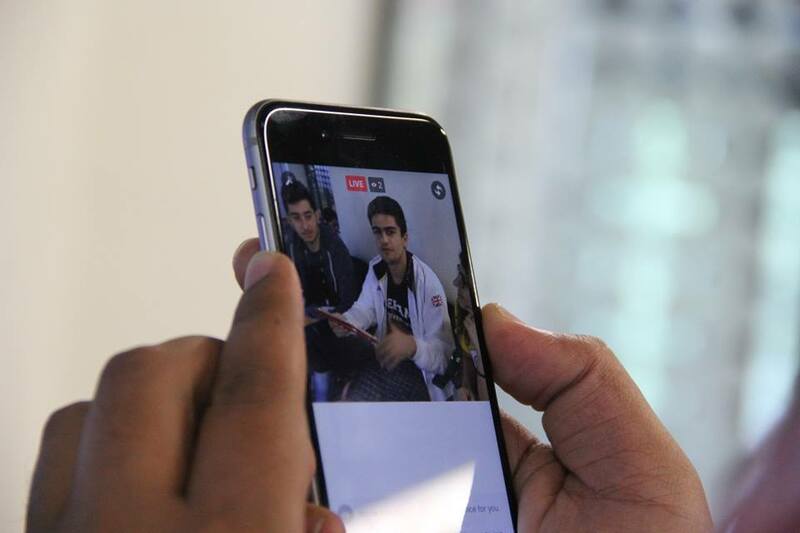 FLEX Alumni Program Associate Bilal Khan ’09 (YES Program Pakistan) held sessions throughout the workshop to teach alumni effective social media skills to effectively market their future projects. 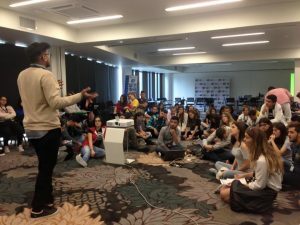 FLEX and Georgia High School Exchange Program (GHSEP) alumni/entrepreneurs spoke at the workshop, sharing the steps that they took to gain success in developing their projects in Eastern Europe; offering an insider’s look into what is possible in the region with passion, entrepreneurial skills, and technology on your side. GHSEP alumna Nino Nanitashvili ’10 (Tbilisi, Georgia), founder of Google Developers Group Tbilisi and leader of Women Techmakers Tbilisi, spoke about various social projects for which she is best known. She highlighted the peace-building game that she co-created Peace Park, which teaches young people conflict mediation and resolution skills. Yakub Rakhimov ’06 (Nakhchivan, Azerbaijan) spoke to alumni about his entrepreneurial success and gave alumni tips on financing project ideas. 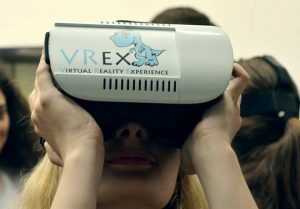 To direct alumni to where they can go to continue their technology and STE(A)M education, participants visited the Tbilisi Technology Park. The technology and innovation development center provides resources for start-up and small-sized companies. It holds the most advanced technology tools, small incubators, educational centers, and laboratories, all aimed to create a partnership between innovation and technology. 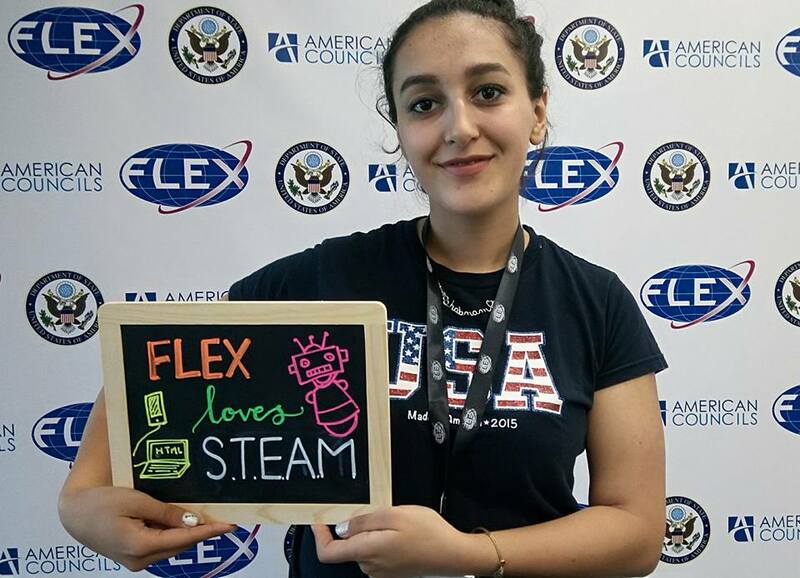 Among those presented were Bright Tech Labs, an online training school with interactive multimedia lessons on STEAM subjects; Find Your Doctor, a healthcare service and business directory; Personalized Apps for Schools, a learning management system; and Wisdom of Women, a for-profit initiative that focuses on creating STEM-related opportunities for women. 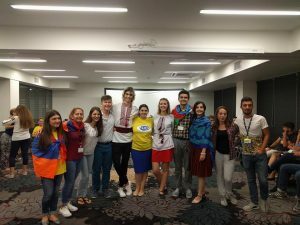 Another key aspect of all FLEX alumni workshops is the opportunity for alumni from different countries to learn more about each other’s cultures, lives, and alumni projects. 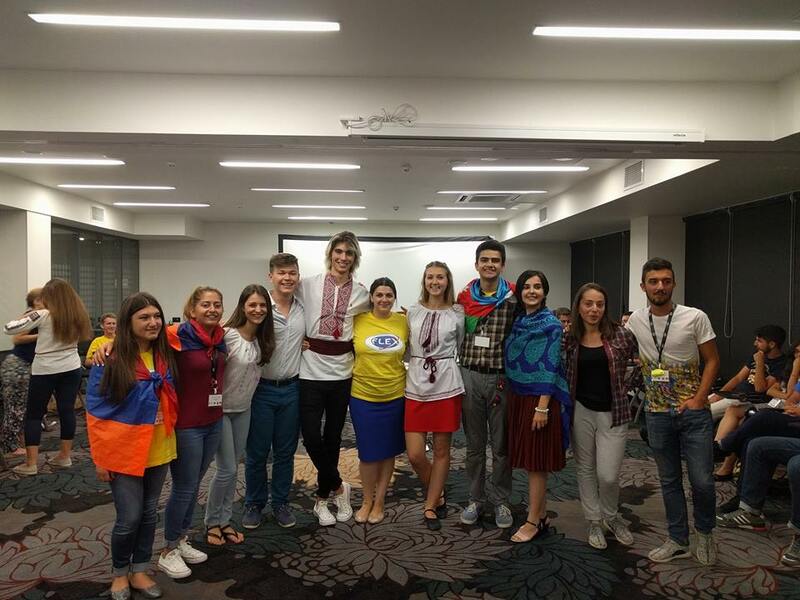 With participants from across Eastern Europe, alumni learned about their neighbors and shared their own culture. Participants shared videos about their lives at home, national dances, and talked formally and informally about what it means to them to be a member of the wider FLEX Alumni community. 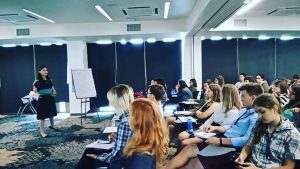 Through follow on grants and projects, alumni hope to hold cross-border initiatives to further strengthen alumni bonds throughout Eastern Europe. The workshop maintained a strong social media following, with alumni and interested parties from around the globe following the workshop activities. The hashtag #EEFAW16 was used in over 600 tweets by approximately 40 users. On Instagram, there were over 200 pictorial updates of the workshop under #EEFAW16. 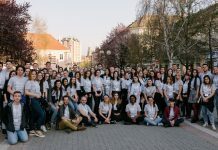 FLEX alumna videographer for the workshop Alyona Doroshenko ’14 (Kyiv, Ukraine) created four workshop videos highlighting the events of the day to further share with the wider public the information taught at the workshop and its impact and a final workshop video. FLEX Alumni Facebook reached 107,596 people with post engagement with over 10,000 views on the video highlights. In order to make this workshop available to FLEX alumni across the globe, the FLEX Alumni program social media team used Facebook live at 4 different occasions to connect alumni, worldwide. 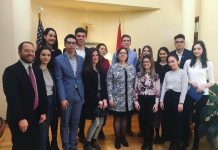 The workshop was made possible by funding from the U.S. Department of State Bureau of Educational and Cultural Affairs and by funding from the U.S. Embassies in Armenia and Azerbaijan.